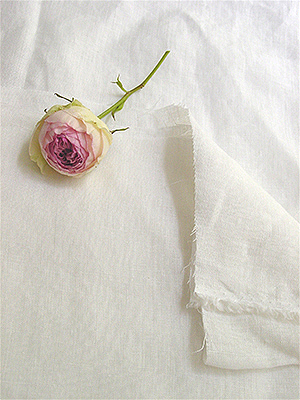 You are attracted to the white linen. 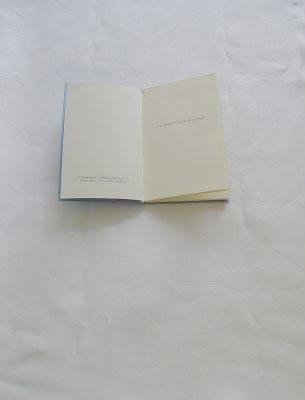 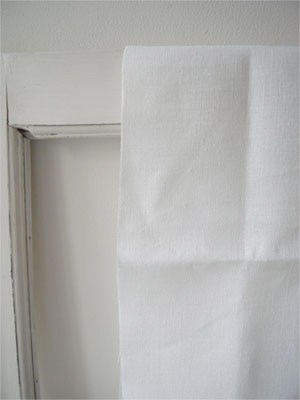 Towel Cloth No51 Off White Plain. 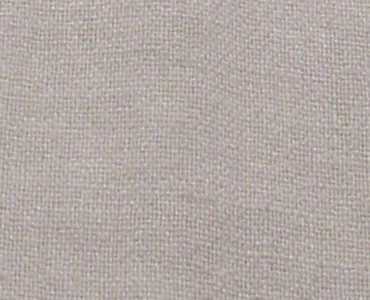 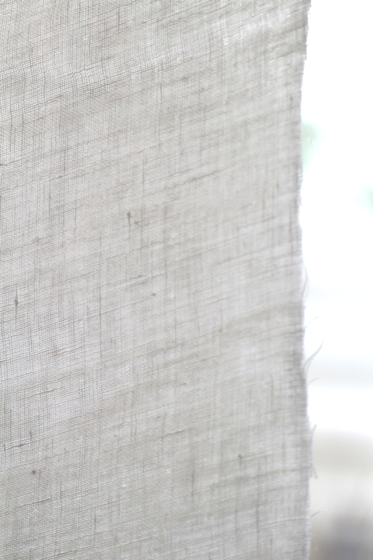 Linen gauze woven by highly twisted yarns. 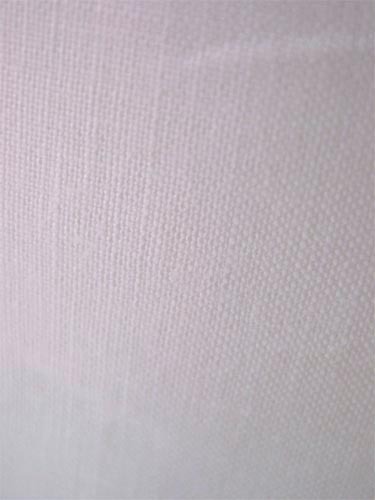 Lighter than Jelly cloth, yet less transparent as it has higher density than that. 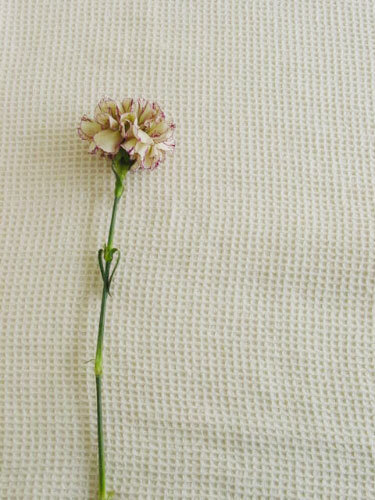 looks very delicate and natural, on the contrary so durable. 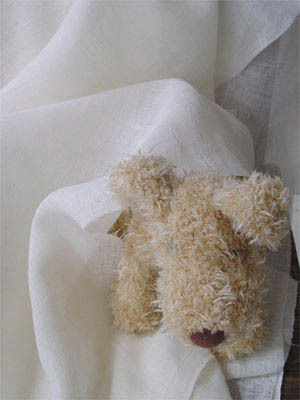 suits for baby garments, not only for curtains, furnishings, bedlinens and dressings. 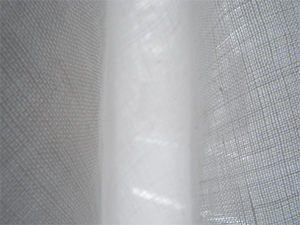 High density weave using fine yarns from Italy. 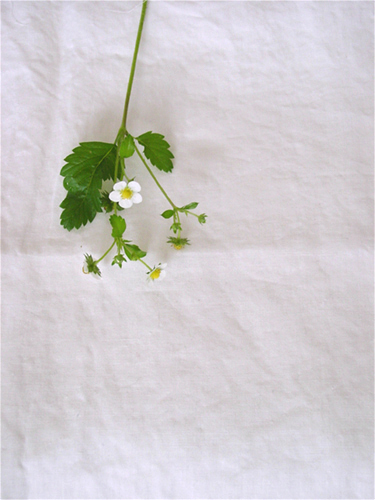 thin, but has sensual weight , carrying cool and smooth in touch. 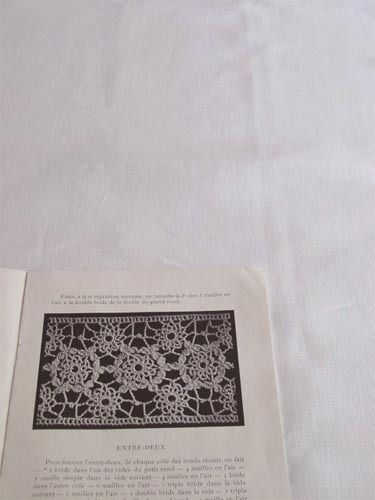 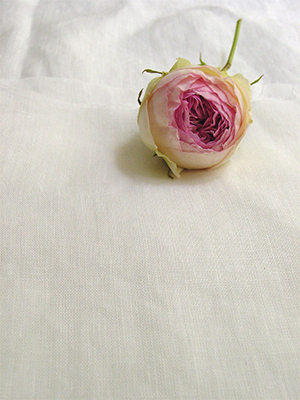 because of its high quality, suitable for garments but also for curtains and furnishings. 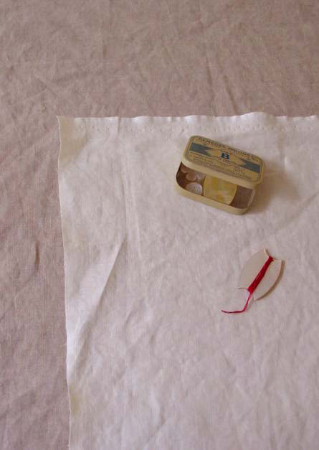 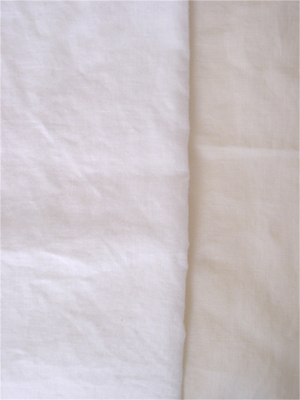 The white degree of the cloth of Snow White is higher than that of off-white. 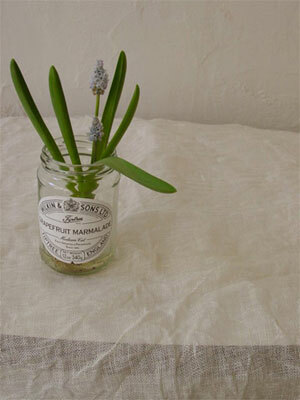 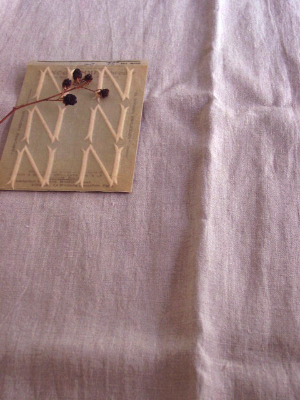 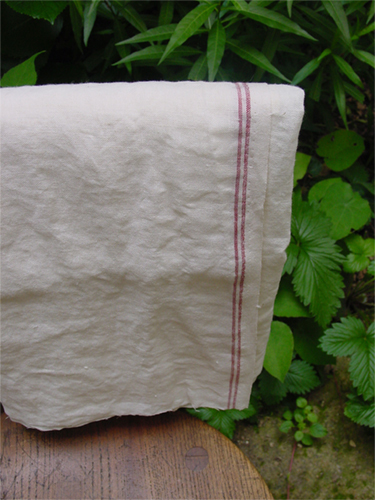 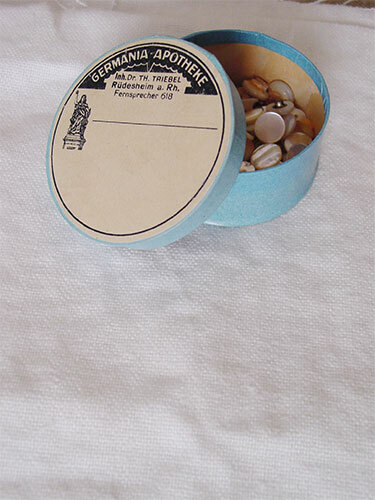 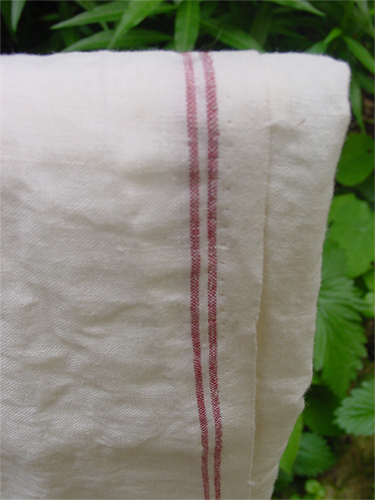 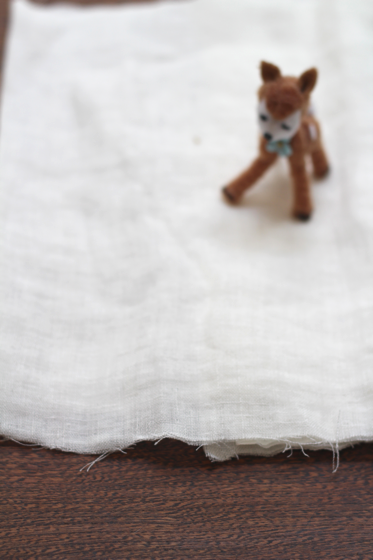 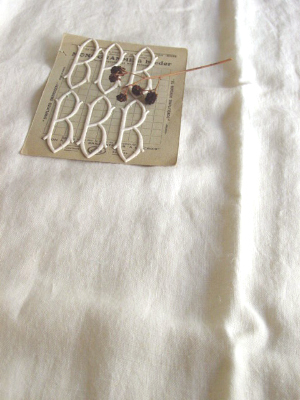 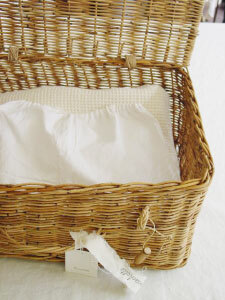 Authentic linen fabric suitable for Bed linens, curtains clothes and so. 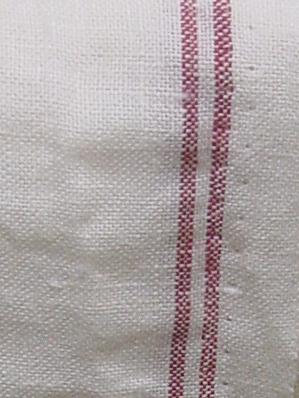 Seldom transparant and relatively thick, woven in Japan with Italian yarn. 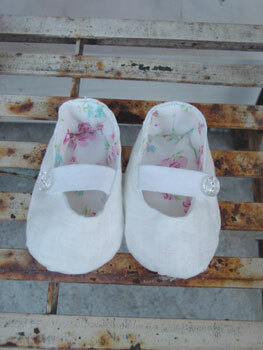 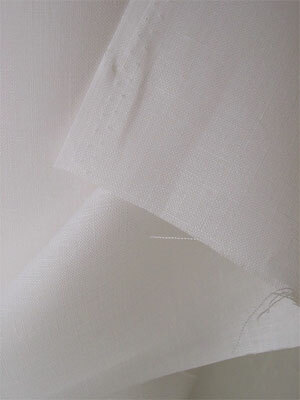 Woven flatly with fine yarns specially designed . 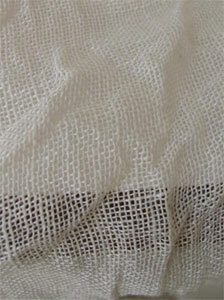 This yarn is spun of 2 fibers twisted having another core fiber, which isremoved later. 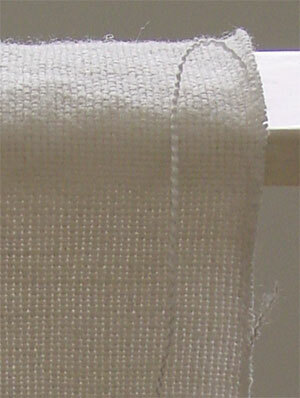 So, the yarn has a slight hollow core in it, and it gives light and soft touch after woven into fabric. 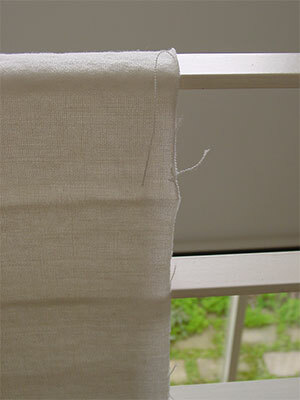 Also we finish the fabric avoiding strong tention, so the softness is reserved. 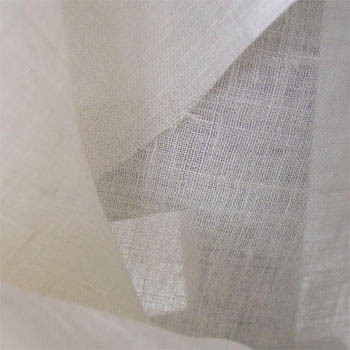 This fabric is carrying remarkably soft and dry touch and suitable not only for garments and scarves, but also for curtains, bedlinens and the other furnishing projects. 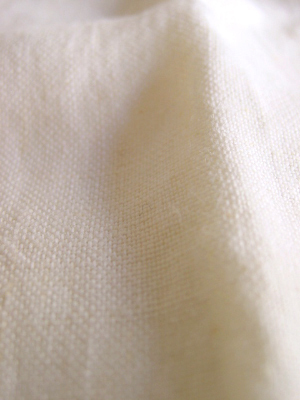 Authentic plain weave linen fabric by .Suits for various projects including bedlinens and curtains. 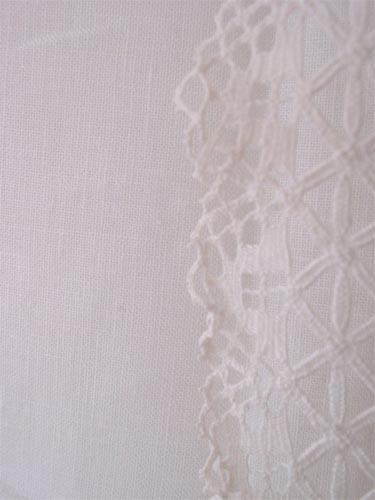 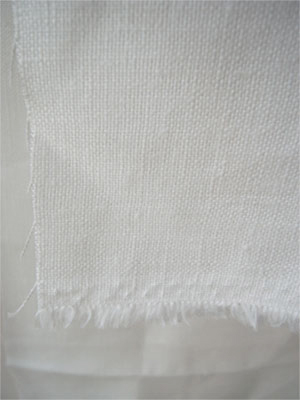 Plain weave off white linen fabric. 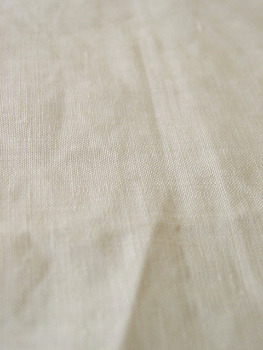 Soft and natural touch, and looks nicer after machine washing. 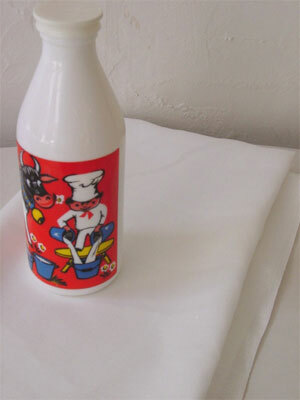 suitable for various projects. 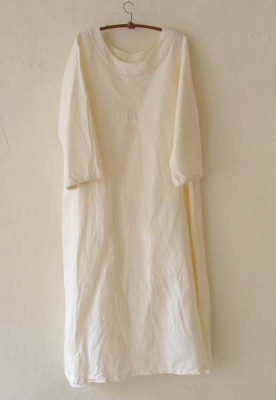 Slightly heavy for shirts, but nice for dresses and aprons. 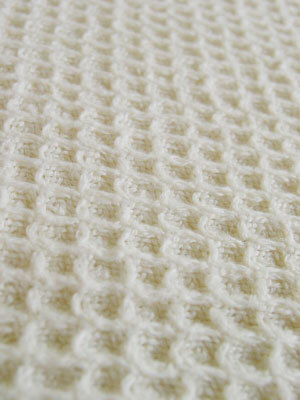 eavenweave relatively countable, so it suits cross stitching as well. 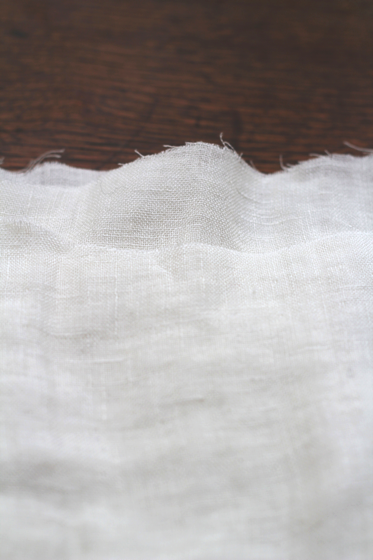 Relatively heavy , clear white fabric. 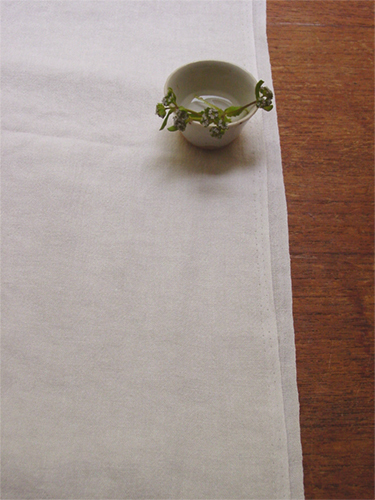 suits for furnishing, Aprons, tablecloth and napkins and also for curtains. 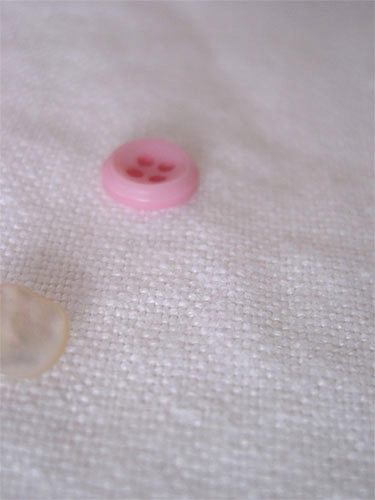 also suits for cross-stitch embroidery as it is easily countable evenweave. 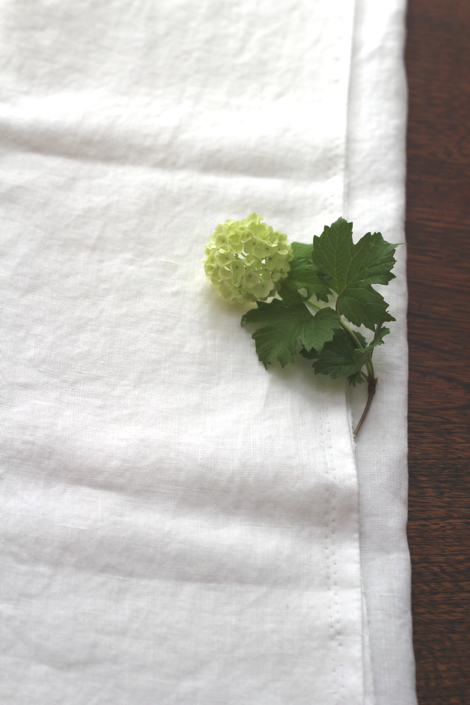 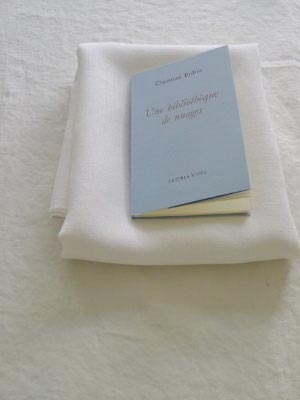 Soft linen waffle, suitable for towels, bathrobes, blanket and so.